Add, remove and swap units, components, etc. 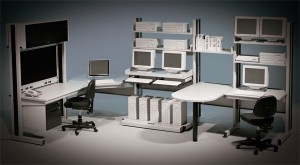 Available integrated power, data, utilities, valves/fixtures, etc. 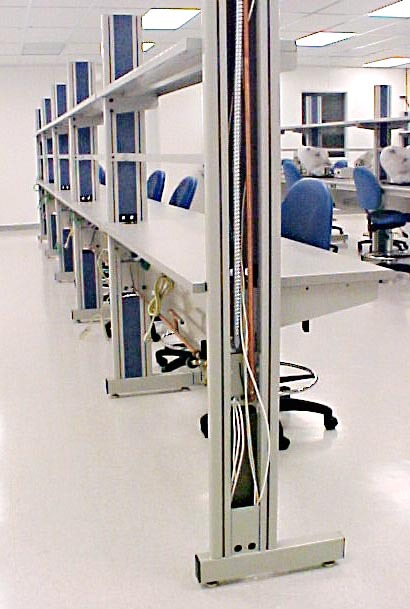 Our `pre-wired´ columns can dramatically reduce costs of contractor services on new builds. 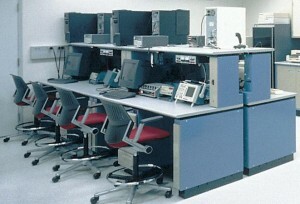 Convert single-sided to double-sided, swap column heights, etc. 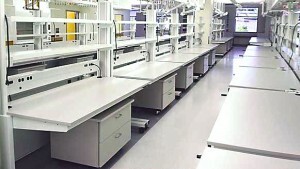 Top-tier lab furniture system for virtually any application: Biotech, Electronics, R&D, Computing, Test/Assembly, Industrial, Data Centers, Manufacturing, Education, Healthcare, etc. 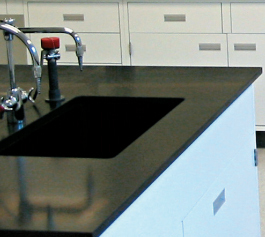 Epoxy or phenolic resins for chemical exposure in biotech, chemistry labs, etc. 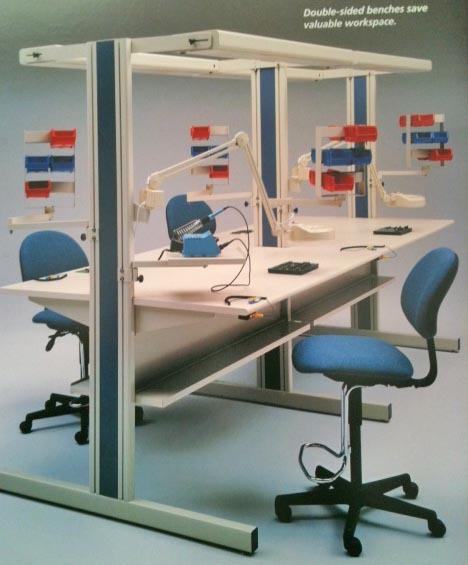 Full catalog of accessories, including upper & lower adjustable shelves, task lights, power strips, suspended drawers & cabinets, keyboard trays, monitor arms, etc. 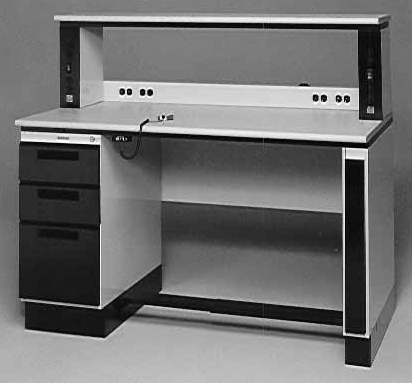 Pedestal Based, Sturdilite® from Kewaunee Scientific, Inc. 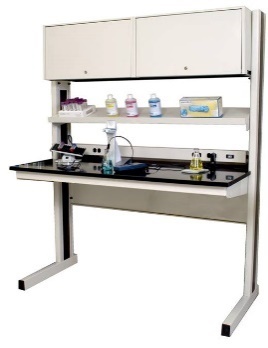 This top quality modular alternative to ‘fixed’ casework can be the optimal lab workbench solution in science labs, classrooms, electronics test & assembly, manufacturing space, etc.